Writing code is always challenging. 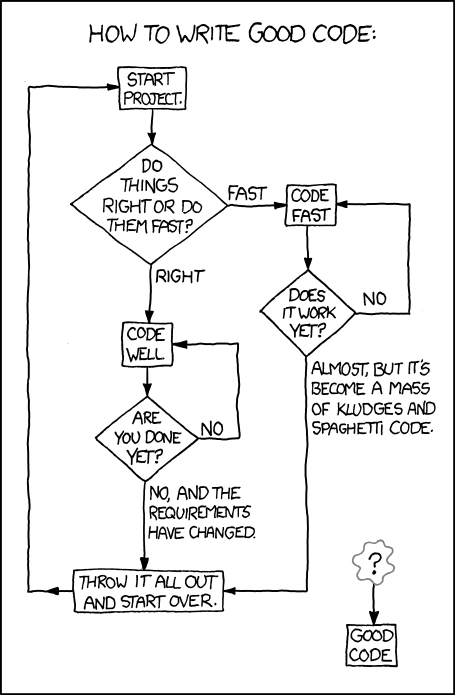 This comic is probably something most programmers can relate to. This entry was posted in Programming and tagged code on April 6, 2011 by Gary Banga.